If you haven’t already been to the breathtakingly beautiful city of Barcelona, then consider this a call to action! As the largest city on the Mediterranean coast, Barcelona has both centuries of history that date back even to the Medieval Ages, as well as the qualities of an exotic beach destination you find all around this ocean. It is one of the largest European metropolises and is caught between the Serra de Collserola mountain range and the turquoise waters of the sea. Between cultural attractions like Montserrat, the Picasso Museum, and exploring the waters and mountains that surround this urban haven, Barcelona is one of the most ideal locations for a vacation, whether for a romantic getaway or a family retreat. One of the things that makes this city so great to visit is the numerous opportunities to rent a flat in Barcelona at an affordable price for as long or as short a time as you’re looking for. Our bizFlats can be found in various sizes and neighborhoods, offering visitors diverse options when choosing their home away from home in this big city. Here are some places you can Rent a flat in Barcelona. 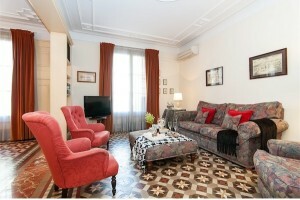 Bohemia 2 is a luxurious modern penthouse located on Plaça Reial and can sleep up to 4 people. Between the fully equipped kitchen and the large living space wanting of relaxing in front of the fireplace, you won’t want to leave this beautiful flat. Le Palais I is a flat available for monthly bookings. The modernist decor is sporting its original antique ceilings with period furniture to match and leaves guests feeling as if they are going back in time to the unique days of the modern era European aristocracy. Just a three-minute walk from La Rambla, its three double rooms with private doors to the balcony can accommodate up to seven guests in an ideal location. 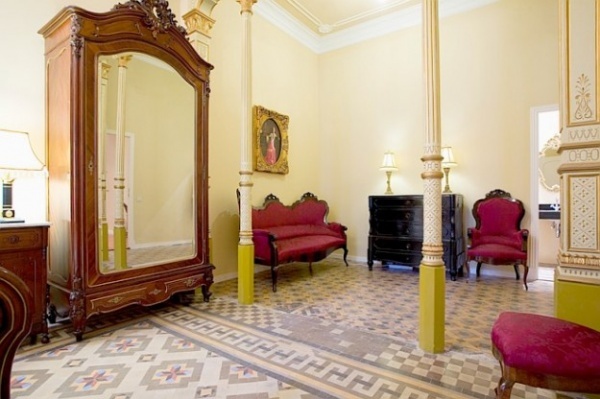 Livingstone is an African-themed apartment located right next to the famous Sant Antoni marketplace designed by Antoni Rovira i Trias, which was finished in 1882. 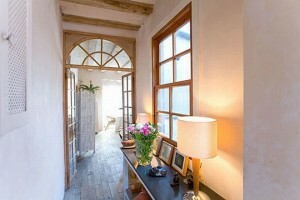 It has two double bedrooms, which can accommodate up to 4 guests, each with a private bath. This apartment is known for having loads of natural light and a generally relaxing feeling, making it the perfect place to kick back after a day of exploring the city. Dandi is the ultimate aristocratic flat, sporting charm and flare simultaneously for an exquisite and comfortable urban retreat. 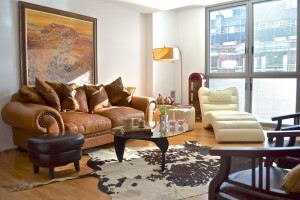 With three large private bedrooms, this flat sleeps up to six people and has two full baths. With a spacious kitchen for cooking Spanish delicacies, a master suite that is the epitome of serenity, and a just a block away from Passeig de Gràcia, this apartment is one of the city’s most desireable. 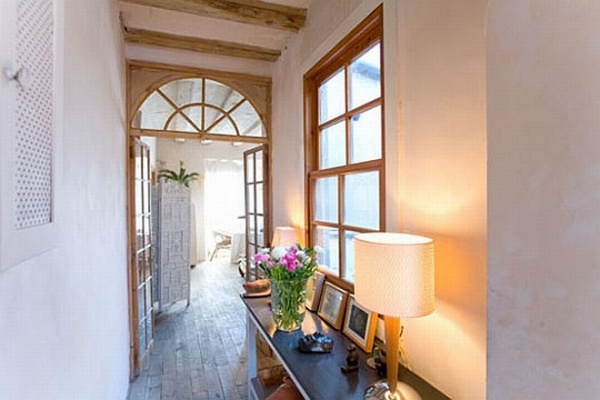 This is just a glimpse into all the great options you’ll find to rent a flat in Barcelona. There are everything from large places on the beach, to economy flats in the center of town. The bizFlats company offers some of the best short term rental options throughout the city and are known for both their excellent customer service, as well as their affordable prices. Squares and parks in Barcelona have long been a part of its way of life, especially since the 1980s when the city decided to give precedence to urban green space rebuilding projects to ensure that not only were their parks throughout the city, but that they were beautiful places. There are now many beautiful parks in Barcelona that are engrained in the way of life and are themselves attractions. Whether you’re looking to witness architectural wonders, unique wildlife, or just sit down and play a game of chess or read a good book, the parks throughout this busy city are the best places to find some serenity amidst the busy metropolitan life. Here are some of the best parks in Barcelona worth exploring while visiting the city. Among the most famous and historic parks in the city, Park Güell is both an urban green space, as well as a monument to Barcelona’s most celebrated modern architect, Antoni Gaudi. Amidst the natural landscape, you will find a forest of shocking and inspiring masterpieces. From the main entrance to the market and everything in between, Gaudi certainly succeeded in his mission to build a garden city. The city’s greenest park, la Ciutadella is the perfect place to relax in nature either taking a long walk, picnicking along the shores of the lake or taking a row boat out exploring its perimeters. Also home to many of the city’s most popular sites, one could easily spend a day exploring this beautiful outdoor haven while taking breaks to see the zoo, the Catalan Parliament, or the Museu d’Art Modern. Barcelona’s botanical gardens are breathtakingly beautiful, boasting the plant life of six different Mediterranean climates, as well as that of the Canary Islands. Situated between the freight port and the Olympic stadium, the garden’s lush landscape is in perfect contrast to its urban setting, making it among the most interesting parks in the city. Aimed at the conservation of rare plant species, you’ll be sure to see some of nature’s most unusual specimens right here in the city. This park is named for the artist Joan Miró whose famous Dona i Ocell sculpture is on display in the southern end. An impressionist piece depicting a woman and bird, it is meant to be lingered over, as well as the 30 smaller sculptures throughout the park that give visitors a wonderful feel for Miró’s work and style. The park is also home to the city’s former slaughterhouse, which is another interesting site to explore. In the shade of the palm and pine trees scattered throughout the area, Catalonians can often be found playing a round of bowls or chess, keeping cool and occupied on the warm Mediterranean afternoons. 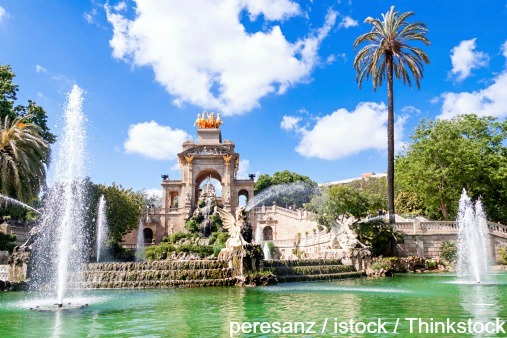 The parks in Barcelona are some of the best places you can enjoy the city’s history, as well as get an understanding of its easy going culture. Whether you’re looking for insight into its interesting architecture or simply to relax with a bottle of wine while people watching, you’ll love the experience. These Barcelona short term rentals are all near one or other of the city’s parks, making for an easy habit of daily visits. In true European fashion, evening activities typically start on the later side in Barcelona. Cocktails, meals and the nightlife all commence hours past the acceptable times in other parts of the world, which means that the late afternoon siesta is a must if you plan on getting the full experience of nightlife in Barcelona. Head back to your short term rental, take a snooze after a long day of exploring the city’s beautiful sites, then grab an espresso and get ready to hit the town for some wine, tapas, and finally the epic Barcelona clubs! There are a number of districts throughout that city that are known for their nightlife, each of them housing a variety of clubs to choose from. Here are some of the most popular areas to check out for the best nightlife in Barcelona. The most historical part of the city with many buildings dating back to the old medieval village, this is probably the most popular downtown area to experience nightlife in Barcelona. Club Elephant Restaurant & Lounge is perfect if you want to experience the nightlife without the disco club scene, but rather at a laid back lounge. Sidecar Factory Club is the quintessential disco nightclub in Plaza Reial with different DJs every night who will be playing until dawn. Macarena Club is a tiny underground type of place known for its raging techno beats and its proximity to the famous Las Ramblas. MOOG is another famous discotheque known for hosting pioneers in electronic music. Known for being Europe’s premier beach city, Barcelona nightlife doesn’t stop once you hit the water, it only gets louder. Catwalk Club is one of the most famous clubs in all of Barcelona, frequently hosting international DJs. Mondo Club sits back off the beach, unlike other clubs in the area, and is known for its terrace overlooking the yachts docked at the port. CDLC Club is Barcelona’s most exclusive beachside club attracting many of the city’s most rich and famous inhabitants and visitors. Have you ever been to a club on top of a mountain that overlooks a world class city below? Poble Espanyol de Montjuïc has its own nightlife scene attracting many locals and visitors alike to this gorgeous place that undoubtedly has the best view of the stars of any other place in the city, something you can appreciate while staying up all night partying. Can you imagine any better way to end a night of fun and dancing than to watch the sun rise over the city? La Terrrazza Club is a large outdoor club in the center of Poble Espanyol that is the ideal place for an all-night party anytime this summer. The nightlife in Barcelona is impressive, and always a lot of fun whether you’re interested in the all-night scene or just want to experience the late night tapas and drinks that the locals call dinner. If you are looking for a late night – or rather, an early morning – but want to forego the crowded disco then seek out one of the lounge clubs that are becoming all the more popular all over the city. A night out in Spain is bound to be full of delicious food, great music, and a colorful crowd. Of the 450 different species living in harmony at l’Aquàrium de Barcelona, the sharks are by far the most popular, with many different activities to wow the crowds with their beauty and ferocity. This is the largest Mediterranean-themed aquarium in the world, meaning that the variety of sharks who call it home are all from the waters that surround the Barcelona Marina. Its six million liters of water are home to 11,000 different organism, all living happily with the sharks who also welcome divers and observers of all kinds. 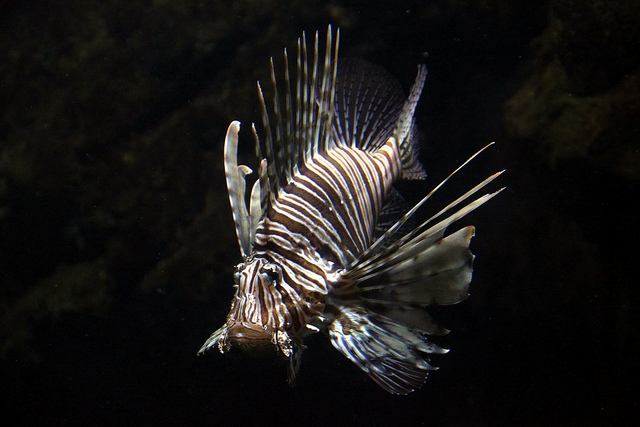 While reportedly a dangerous species, at l’Aquarium de Barcelona you’ll learn what they truly are. 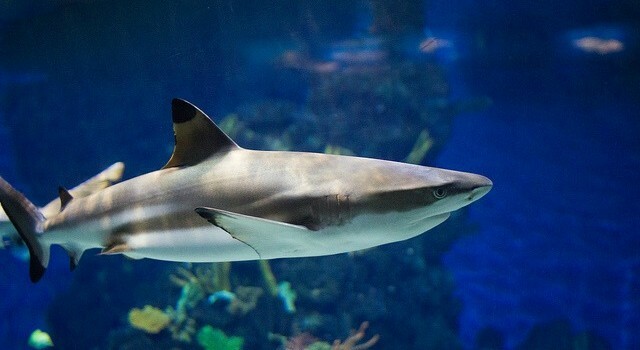 If you are a qualified scuba diver, a visit to l’Aquàrium de Barcelona means you’ll have the chance to safely dive among the sharks in their main tank, housing thousands of other fish. This experience is actually a safety course in scuba diving with sharks, which begins with a guided tour of the aquarium, a lecture of sharks that will teach you about how these fish live, where they came from and whether they are victims or killers. Finally, you will dive into the Oceanarium and observe firsthand what you have learned. All of the equipment and your insurance is included in the price, and you will receive a souvenir as well as the opportunity to bring two friends into the aquarium with you for free. If you are not an experienced scuba diver but would like to learn, then this is the perfect beginners class for you. First you will learn the basics of scuba diving on your first ever dive. Get used to being underwater while learning hand signals, how to use a regulator, and the proper way to breath. You’ll also figure out buoyancy control and moving around with underwater rings. After you’ve got the basics down you will get to witness l’Aquàrium de Barcelona’s main tank for an underwater observation platform where you will be completely safe. Your course fees include all your equipment, insurance, and the option to invite two friends who can come witness and document this unique experience. Not exactly a scene from Jaws, visitors can come three times a week to watch these majestic creatures eat what they love. Divers swim among them with sacks full of their favorite food of oily fish and squid, feeding these elegant predators. They use rods to reach the fish close to the sharks’ mouths to be sure that they get what is intended for them. This overnight experience for children aged eight to twelve is an educational and fun sleepover party. Kids will do a fun investigative workshop of sharks, eat dinner, play shark games and hear shark stories before bedtime. Following breakfast in the morning, they will get a technical area tour about how the animals “wake up” each morning. Ready to plan a visit to El Acuario de Barcelona, or the Barcelona aquarium? Tickets for the Barcelona Aquarium range from €6.50 to €18.00 from the age of a toddler to the age of an adult, and hours are from 9:30 to 21:30 on weekdays, 9:30 to 23:30 on weekends. The Barcelona Aquarium address is Moll d’Espanya del Port Vell, s/n, 08039 Barcelona, Spain. While all of l’Aquàrium de Barcelona is a great time waiting to happen, the sharks are a particular draw for many of the guests, with people traveling here especially to partake in the Diving with Sharks course. If you’re a serious scuba diver coming to Barcelona for that reason, look into these wonderful short-term rentals at the beach!